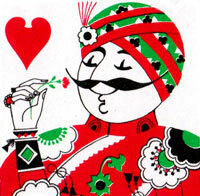 Special ‘Air India’ playing cards with non-standard courts in Indian attire and four decorative aces, made in India by Playwell Playing Card Co., c.1980. Playing cards were once a part of inflight complimentary items, especially on long haul flights, but are becoming rare due to cost cutting and now a part of aviation collectables. 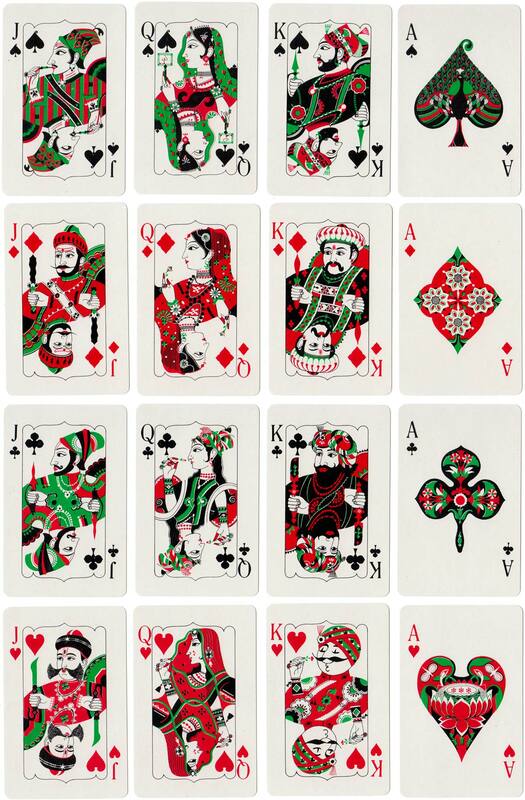 Although using only red, green and black the cards are very bold and vibrant. 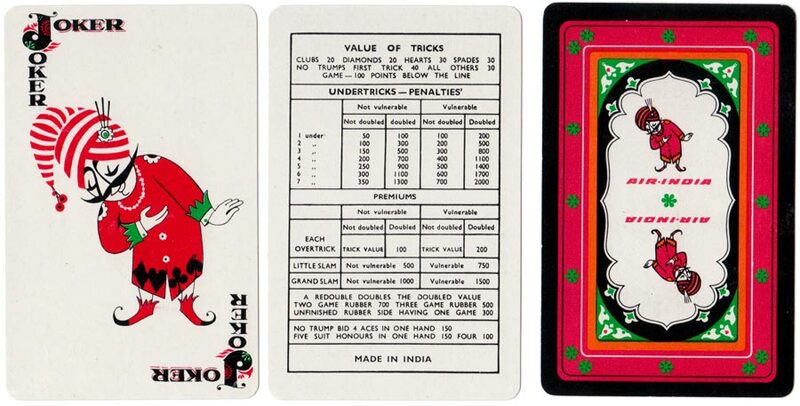 Above: ‘Air India’ playing cards, made in India by Playwell Playing Card Co., c.1980. Images courtesy Rex Pitts.